Since the mid-20th Century, Kestrel and owl populations have faced increasing pressure in Britain as areas of suitable habitat has become increasingly limited. Areas of rough grassland, grazed pastureland and suitably wide crop field margins are now important habitats for populations of these birds, as they represent the main hunting and foraging areas for them. In addition to habitat pressures, nest site availability can be a limiting factor for bird of prey populations that use secondary and/or artificial cavities for nests, such as tree hollows or the lofts of old buildings. This limitation can be addressed by the provision of artificial nest sites (nest boxes). 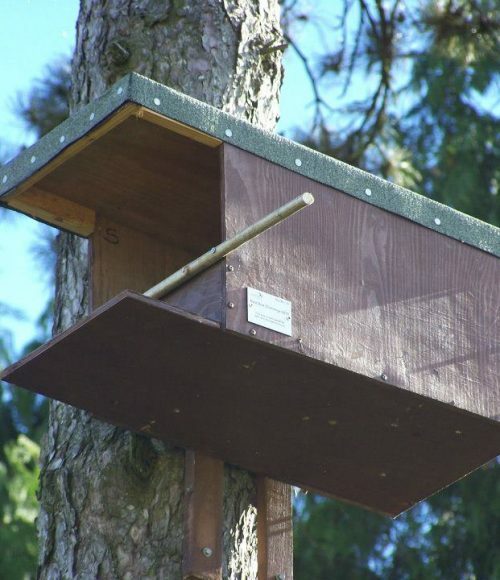 Nest boxes can be an effective conservation tool in areas where existing breeding sites are threatened with destruction, or are subject to human disturbance. Where suitable habitat exists, nest boxes can provide nesting opportunities for cavity nesting birds of prey. Nest boxes also facilitate access to nests for the purpose of population monitoring. However, without suitable foraging habitat, the provision of nest boxes is likely to be less effective and so the protection of suitable habitat in addition to the provision of potential nest sites are two conservation methods that should be done together. This project is aimed at four British bird of prey species with the overall conservation goal of maximising the population potential of the target species. The primary method is to increase nest site availability for these species in areas of otherwise suitable habitat. 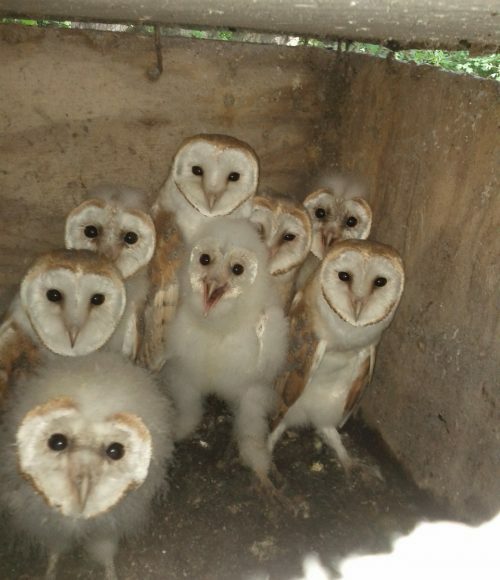 The four target species are: Barn Owl, Kestrel, Little Owl and Tawny Owl. In order to achieve this overall conservation goal, a broad range of research objectives must be met. These objectives are addressed primarily through a combination of habitat assessments, population surveys, analyses of breeding data and studies on diet. How does variation in land use affect breeding productivity? Does dietary overlap between species change in relation to proximity? One of the main outcomes from the population monitoring and associated research work is the knowledge and data to improve conservation techniques. This project will also lead to an improved understanding of the ecology of the four target species.